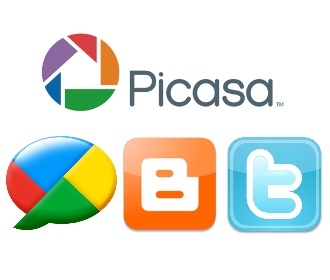 Google’s photo sharing platform Picasa has received a small update today allowing visitors and album owners to share photos with users on different social networks. 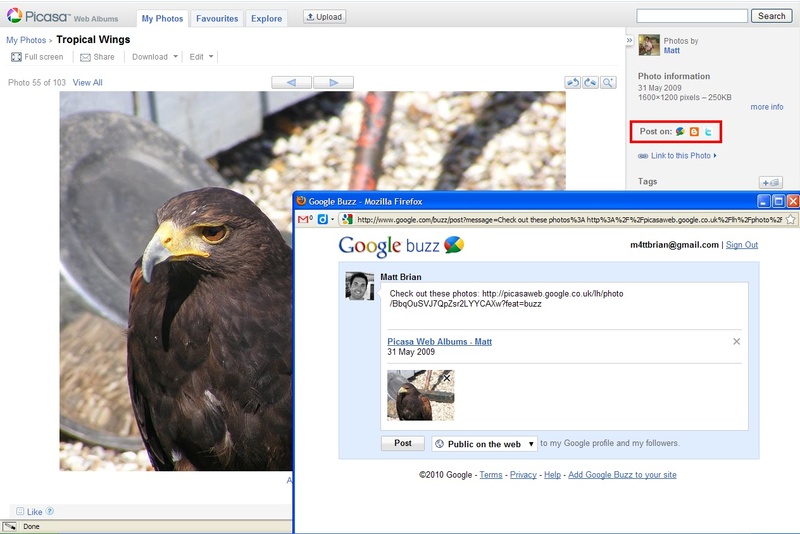 Now, if you visit a Picasa photo album, you will instantly recognise the three new sharing options; Twitter, Google Buzz and Blogger. Users simply have to click one of the icons and a small pop-up will appear that facilitates the sharing of an album or singular photo to the chosen social network. Like many other things in life, photos are best when shared. I share the majority of my photos on Picasa Web Albums, but I also sometimes tweet about specific photos or share them on my blog. Today, we’re making it a little simpler to share your PWA photos to whichever destination you want, with the launch of easy share buttons for Google Buzz, Blogger and Twitter. It’s a feature that has been long coming but might not be enough to tempt users of Yahoo owned Flickr to switch photo hosts just yet. Flickr users have had Twitter functionality and a URL shortener for quite some time. Google’s addition, at present, is almost half baked. Read next: How worried should we be about Google addressing our children in cartoons?